AMAZING PRICE! On this maintenance free 2 bed, 2 bath villa with a 2 car garage in the Preserves of Palm Aire. Perfect for full time, vacation or investor. Private Courtyard leads you to this open and airy, great room plan home. 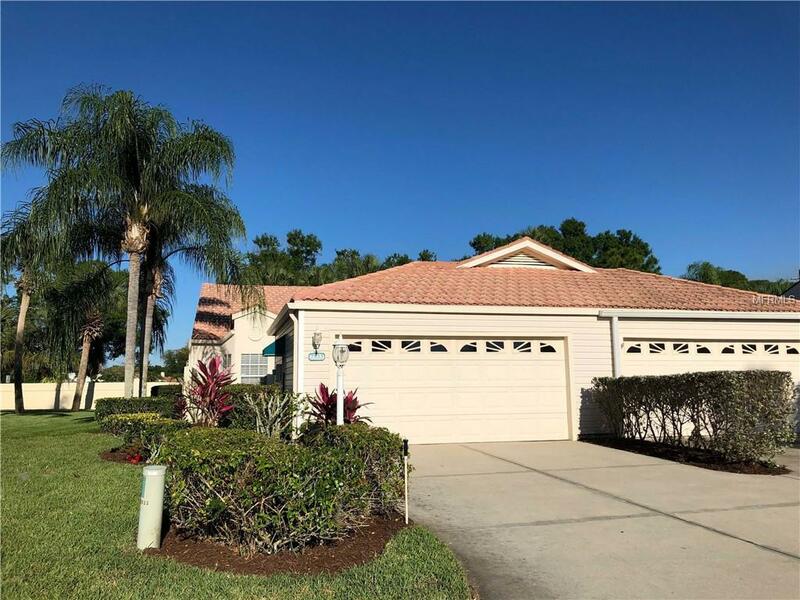 The living room has cathedral ceilings, a paddle fan, carpeting and 4 sliders that open up the screened, tiled lanai allowing plenty of light and a way to enjoy the Florida outdoors. Wonderful eat-in kitchen has a pantry and plenty of cabinets and counter space and has a pass through to the dining area. Master en-suite bedroom is roomy and has carpeting, cathedral ceilings, sliders to the lanai and a large walk-in closet. Master bath has a walk-in shower and single sink. 2nd bedroom s set-up as a possible en-suite with carpeting and walk-in closet. 2nd bath has a tub/shower combination. Over-sized garage has plenty of storage. Brand new Air Conditioner 3/7/19! Preserves of Palm Aire boasts it's own large, heated community pool, steps away from the home. Community is located in the Palm Aire Golf & Country Club with voluntary golf and social memberships. 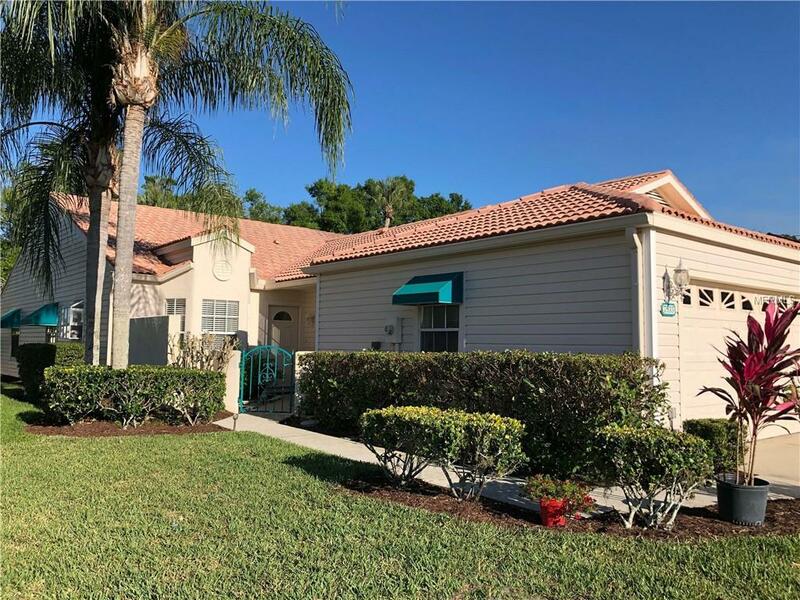 It offers 2 - championship 18-hole golf courses, har-tru & clay tennis courts, 4 pickle ball courts, fitness center, Olympic swimming pool and clubhouse with dining. Located just minutes away from the newer University Town Center mall, shopping and dining. Nathan Benderson Park. 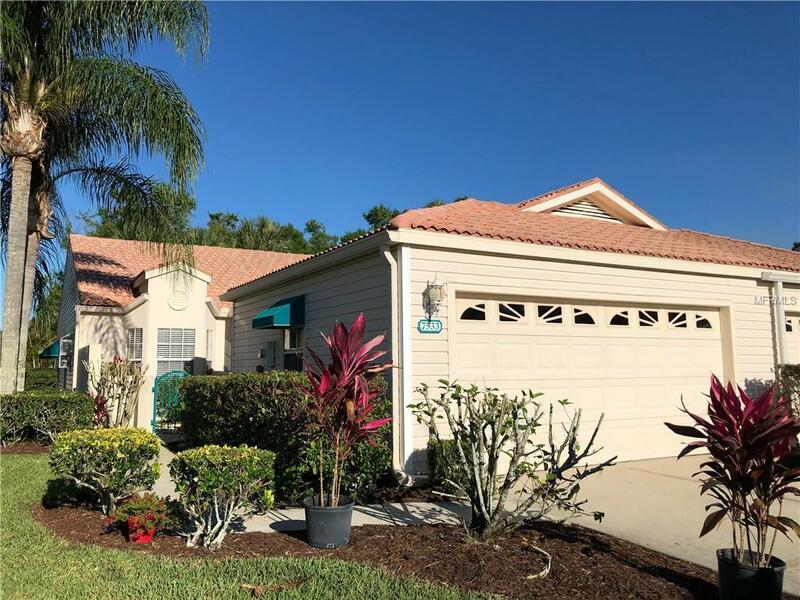 Close to world famous beaches, Siesta Key, Lido Key and Bradenton Beach. 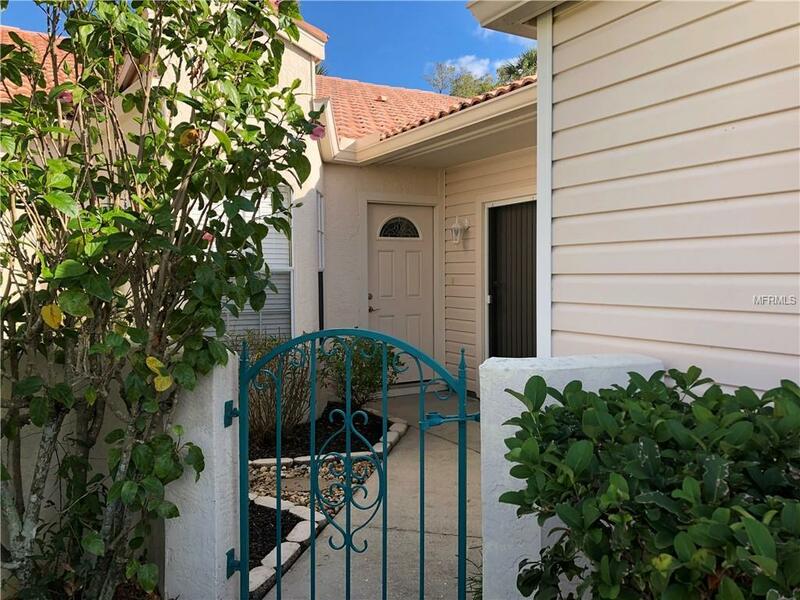 Easy access to Sarasota, Bradenton, St Petersburg and Tampa. 3 miles from I-75. Pet Restrictions 2 Pets Up To 50 Lbs. Listing provided courtesy of Coldwell Banker Residential R..